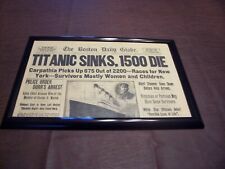 TITANIC NEWSPAPER 1912 Boston Globe/Marsh Murder Story/Ty Cobb Quits Team !!!!! TY COBB QUITS DETRIOT TEAM (YOU WILL NOT BELIVE WHY) . THIS NEWSPAPER ALSO CONTAINS ARTISTS RENDERING OF THE TITANIC'S SINKING THAT INCLUDES: CAPTAIN SMITH & THE CHIEF OFFICERS OF THE TITANIC. TITANIC SINKS. 401 Designs has broken down this large piece into smaller sizes and is used in all of its coal products, therefore all 401 designs products will reference certificate # 1010. RMS Titanic Coal Tear Drop Necklace CONTAINS AUTHENTIC COAL RECOVERED FROM THE TITANIC. Captain Smith on the cover. Overall nice with just relatively minor blank margin edge wear and near the spine of the centerfold. A solid issue. The original pieces were used only on Captain Smith’s table on the Titanic. 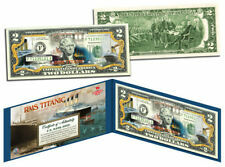 Titanic Collection. R.M.S. TITANIC. On her maiden boyage from Southhampton, England. The following is on the bottom of both the cup and saucer. Of course, we all know that any such publicity for White Star Line's Olympic would soon be lost to the Titanic disaster the following year. 1:6 scale TITANIC CLOCK and Cherub Lamp. 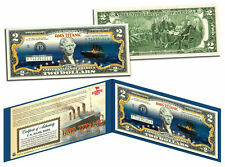 It is our joy to bring back for you beautiful collectibles from the RMS Titanic. • Cherub is 13" tall. Titanic and. TitanicClock com has been making Titanic Clocks since 1999. White Star Line Titanic Blanket Throw. New, never used. Not in original wrapping. Red blanket throw featuring the White Star Line logo. Great for display or to throw over the back of a sofa. Purchased at one of the Titanic artifact exhibitions. R.M.S. Titanic 8x10 Photograph. This is an 8x10 photo of White Star Line's R.M.S. Titanic. Photo is printed on high quality photo lab Canon Semi-Gloss paper. This beautiful keychain has a remarkably detailed model of the RMS Titanic on the end of the chain. 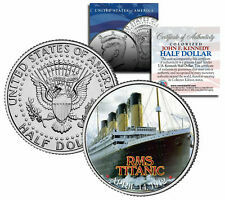 Great for gift-giving or the collector who has almost everything else Titanic. RMS TITANIC. If an item is substantially not as described I will make every reasonable attempt to rectify the matter. The brochure is in only fair condition and shows it's age. However, it is complete and readable with no tears. Very good condition as shown, 2 1/2" x 3 1/2" x 4 1/4". Dated Oct 6th 1921. In Good Condition. Has a tear on top center seem. Bottom tear on center seem. See Pics for all Details. Limited wear to plating. A great display item. It sounds like a perfect way to dignify the beauty of these lovely artifacts. The front has a lovely hand painted WSL Pennant. The bottom has the Stonier & Co. Ltd. The piece has no date, most likely aging it pre-1900. It fits into the envelope that has an embossed White Star Flag on it. The log was in the envelope so is in good condition (see scan). 1912 TITANIC. The White Star Line had spared no expense in assuring her luxury. John Thayer witnessed the sinking from a lifeboat. 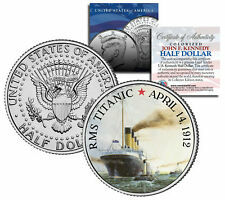 The #1 leaders in coin colorization. 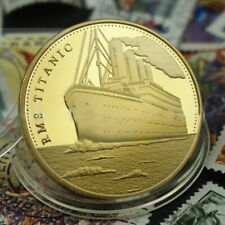 RMS Titanic 8-1/2” Plate. 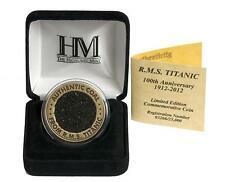 RMS Titanic, Inc.
Titanic Coal with Certificate of Origin. 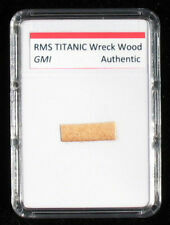 Recovered from wreck of Titanic during 1994 expedition. Small bag from event also included. No international - sorry. This is a model of Titanic at the dock in Southampton, England. The model is made of wood, plastic, cardboard, and thread. It's been sitting around for the past few years. Coal from titanic Necklace . Condition is New. Shipped with USPS First Class Package. My mother ordered this and gave it to me. I really dont know how to describe it. Hopefully, pictures will explain it. Nothing is printed on the back so I only scanned the front. They ate well. White Star Line advertising PROOF, india mounted on card, Ismay Imrie, Liverpool, London. Size 4" x 6.75". Shipped USPS First Class. Check my other auctions, I combine shipping. The Titanic Disaster. Can be opened, but is brittle. Interesting looking for historical reasons, distressed pages. Arber Books & Oddities. RMS Titanic In Belfast-. Our printing process results in an exceptionally vivid, colorful and detailed view suitable for museum or gallery display. TITANIC FRONT PAGE PHOTO. THIS IS AN 11X14 PHOTO OF THE FRONT PAGE. This new 11X14 photograph has been processed on premium. We do add a white border around the. THIS ITEM IS NOT A NEWSPAPER. "SAMPLE PHOTO" Will Not Appear On Photograph. 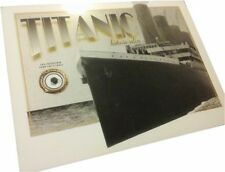 Large White Star Line Titanic wood box with drawer and original 1912 pictures. The pictures inside the lid are original to 1912. I belive they were taken from a April 1912 edition of the Sphere Newspaper / Magazine. The box does have a few light usage and age related scuff marks. Pair of Titanic Wall Art Prints. Inquiry Into The Loss Of The "Titanic" Longitudinal Section And Plans Showing Bulkheads. Clean, Odor Free & Ready to Hang.